Mike McKinley, Church Planting is for Wimps (Wheaton, IL: Crossway, 2010). 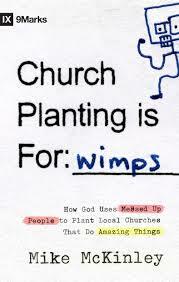 Church Planting is for Wimps by pastor Mike McKinley, is an encouraging look into the life of a new church planter / revitalizer. Writing at the four year mark of a church revitalization in the suburbs of Washington, DC, Mike McKinley gives a look into the work God had done through his efforts. Discipled under Mark Dever and sent out from Capitol Hill Baptist Church, Mike’s approach to church revitalization puts a premium of expositional preaching, followed by attention to meaningful membership, elder leadership, the church constitution, and personal evangelism. While not a long or heavily annotated book, Church Planting is for Wimps gives a winsome look at church planting / revitalization. In fact, one of the most illuminating parts of the book is his short analysis of those two approaches to “planting” a new church. In short space, he lists the pros and cons of church planting vs. revitalization (ch. 2, pp. 27–37). I share his points here as they make one of the most unique and helpful parts of his book. There is a need to tear down ministries, programs, etc. (This is where the title of the book comes in—compared to revitalization; church planting is for wimps). Church Planting is for Wimps also provides an inside look at the need for church planters to be men of character, especially with regard to marriage and family. Struggling early on in ministry with regard to marriage, I appreciate his candor and hope men who read his book may learn how vital marriage development is for long-term ministry. Church Planting is for Wimps finishes by looking at the need for developing elders for redefining what success is. Regarding leadership development, Appendix 2 is a very helpful outline for training potential elders. In the end, I am left with one question: What opposition should a “revitalizer” expect? And what should he do about it? In Mike’s case, his ministry began when 12 members and zero deacons called him. 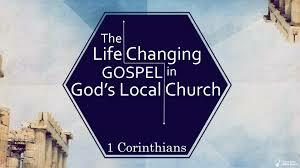 In his story, he speaks of God bringing a barren church back to life by means of the Word preached and attention to evangelism, discipleship, and membership. This is a glorious testimony of God raising the dead to life. For other pastors, the challenge of church bullies, mean congregants, and/or doctrinal/methodological controversies may be part of the revitalization process. Thankfully at Guilford Baptist, these obstacles did not have to be surmounted. But they are a real factor in many churches. Especially in churches that have “more life” in their decay, it is imperative pastors ready themselves to handle opposition with prayer, fasting, and steadfast commitment to the preaching of God’s Word. In Mike McKinley’s case, God has granted a season of gospel growth under his shepherding. May God use his book to spur others to follow in his wake.